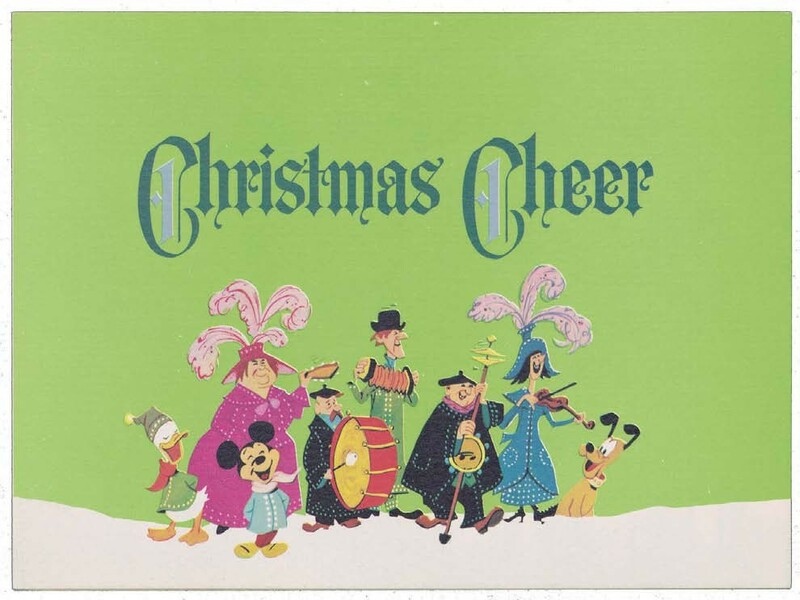 Starting in the 1930s, those lucky enough to be on the Walt Disney Studios Christmas card list received custom Disney illustrations and season’s greetings that reflected the art and history of the company. LEGENDARY DISNEY STUDIO AR TISTS often collaborated on the cards. In anticipation of Mary Poppins, artist Ben Moore illustrated the front while artist Paul Wenzel did the inside and back.